What Kate Baked...and baby! : What to Bake in a Heatwave: Summer Puddings! Ice cream sales rocketed as an entire nation's diet consisted of three 'Magnums' a day. BBQ, burger and charcoal makers struggled to keep up with demand. Punch-and-Judy were so thrilled with the gigantic volumes of visitors to Brighton Beach they actually stopped arguing for the first time in three hundred and fifty one years. Flights to the Med were cancelled as holidaymakers realised it was at least fifty five degrees hotter in Tenby than Tenerife. I am, of course, talking about the recent Heatwave. The only problem was that it was exceptionally boiling to bake. A somewhat debilitating side effect for a writer of a cake blog. Trouble was, switching on the oven increased the humidity in the house by about two thousand per cent. Using energy to mix or stir when the same energy could be used to unwrap another Magnum was quite frankly wasteful. Chocolate was melting faster than I could say 'But I don't even need melted chocolate for this recipe!'. That's where no-bake puddings became the star of the show. Gooey, sweet Eton mess, fresh, flavoursome fruit salads and, of course, the classic Summer Pudding. All heatwave friendly puds. The origin of the Summer Pudding is pretty fascinating (yep, this paragraph is the equivalent of the 'history bit' in The Great British Bake Off). 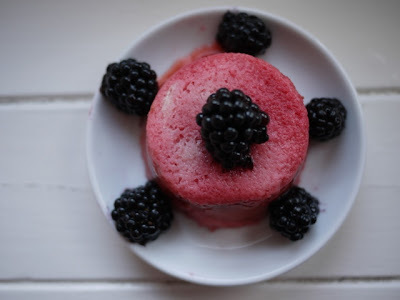 The Oxford Companion to Food explains that back in 19th century health farms developed the Summer Pudding as an alternative dessert to the various pastry puds on offer. They would have been listed on the menu as "hydropathic puddings". Their enduring popularity, two centuries later, is a tribute to the person who wisely renamed them the far more appealing Summer Pudding. 1. Brush the pudding basins with a little oil and line with cling film, ensuring to leave an overhang. 3. Simmer for a minute or two until all the sugar has dissolved and remove from the heat. Carefully drain half of the warm syrup into a separate bowl and set aside. 4. 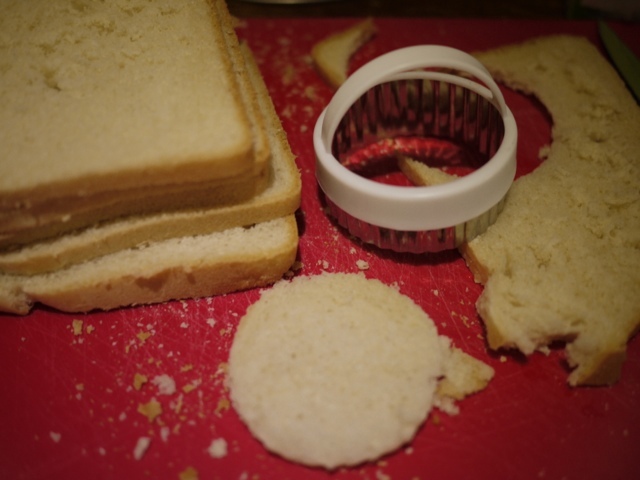 Use biscuit cutters to cut circular rounds from the bread, one small round for each basin top and one slightly larger for the base. 5. Place the smaller bread circles at the bottom of each basin. Divide the fruit and the remainder of the syrup between each pudding basin. Place the larger bread circle on top of each pudding and press down. 6. Pour the set-aside syrup over each pudding. Fold the overhanging cling film into the centre of each pudding. Place a small weight on each and pop in the fridge overnight. 7. The following day, remove the weights and unwrap the cling film. Run a little knife around each pudding to loosen, then turn out onto serving plates. Serve immediately. Traditionally a Summer Pudding is made with red-currents and raspberries. 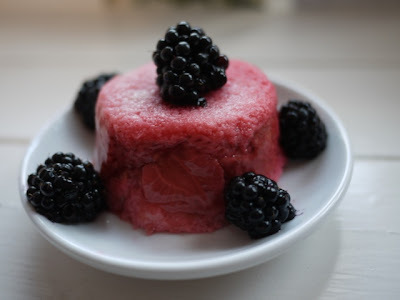 But regardless of your choice of summer berries, this is a deliciously refreshing sweet pudding that doesn't involve switching on the oven during a heat wave! I'm entering this into this month's Tea Time Treats blogging challenge, alternatively hosted by Karen from Lavender and Lovage and me! This is just the perfect pudding in a heatwave. I love summer puddings - they remind me of my childhood. Now that is a seriously cute little dessert - I love it! I've still never made a summer pudding which is ridiculous as they ar so pretty! These mini ones are so cute.